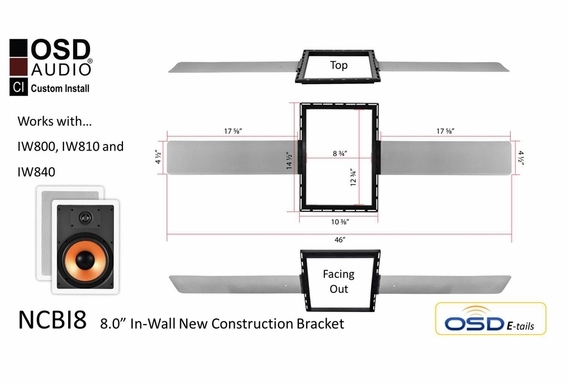 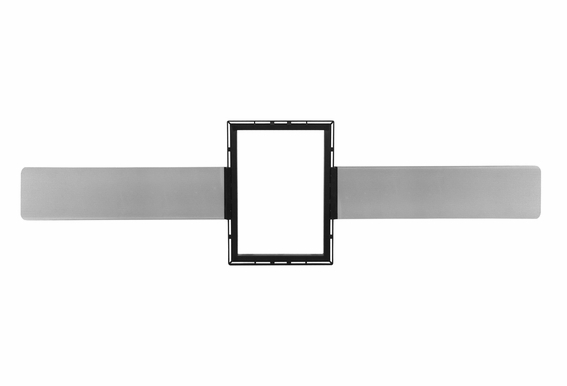 For use with OSD Audio 8" in-wall speaker models IW840, IW810 and IW800, this bracket is easy to install during new construction or during a room remodel. 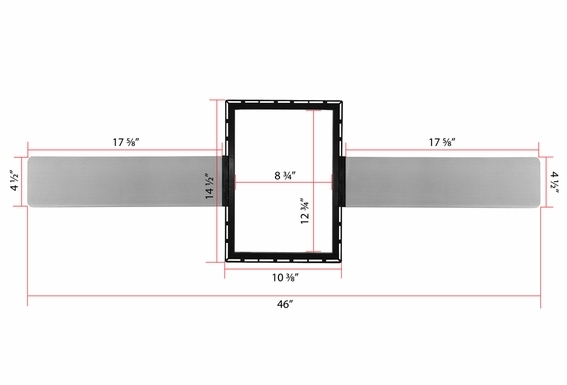 All OSD Audio wall speakers include dog-eared clamps that secure speakers to the wall; therefore, new construction brackets are not required. 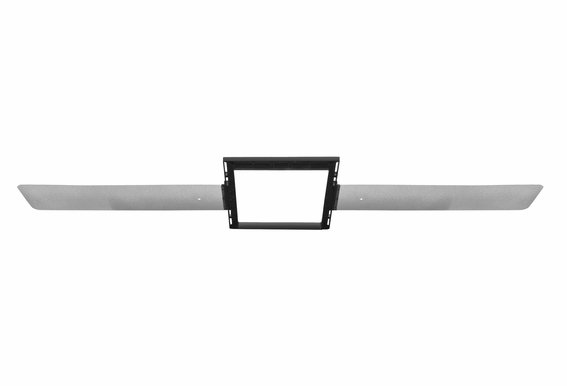 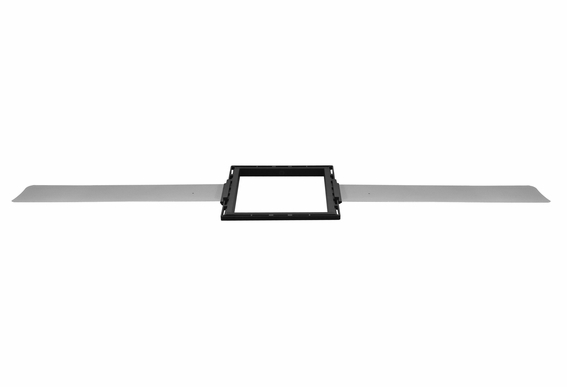 The benefits of the brackets, however, are that they provide additional support of the wall speaker and allow you to precisely place the speaker while providing a template to cut the mounting hole. 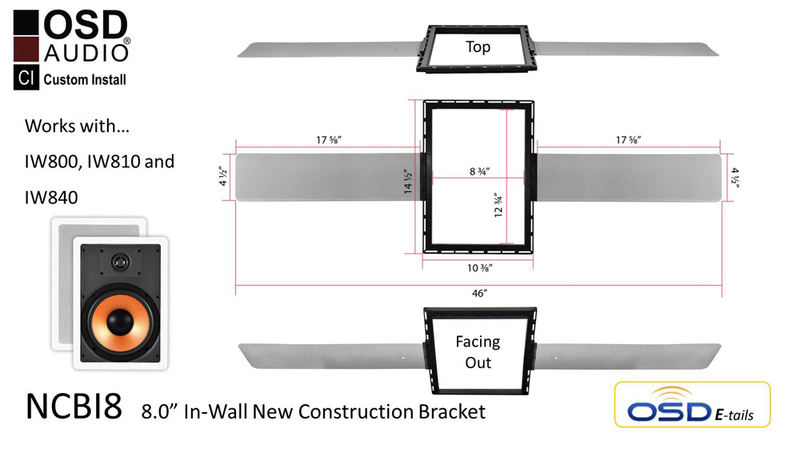 8" new construction bracket fits IW840, IW810 and IW800 in wall speakers.